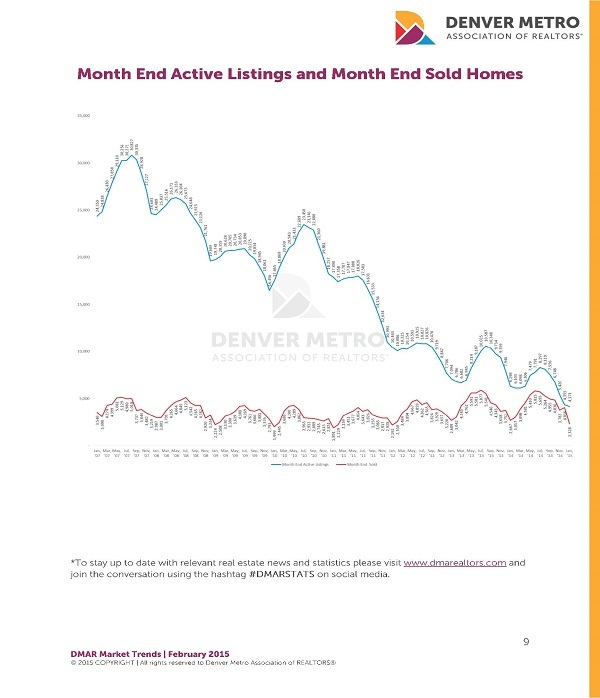 "May you live in interesting times (Chinese proverb) certainly rings true for the current Greater Denver-area real estate market. 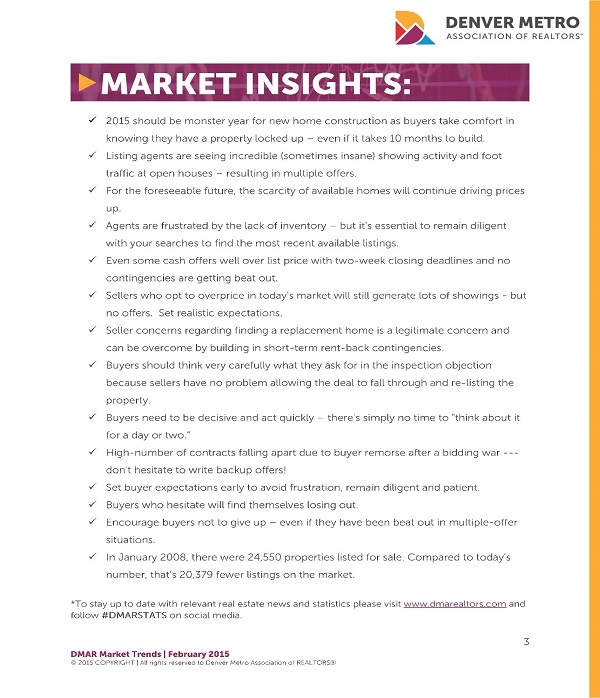 While February experienced record-breaking amounts of snow (surpassing a 103-year-old mark) the number of active listings inched its way to a new unprecedented low of 4,079 properties. 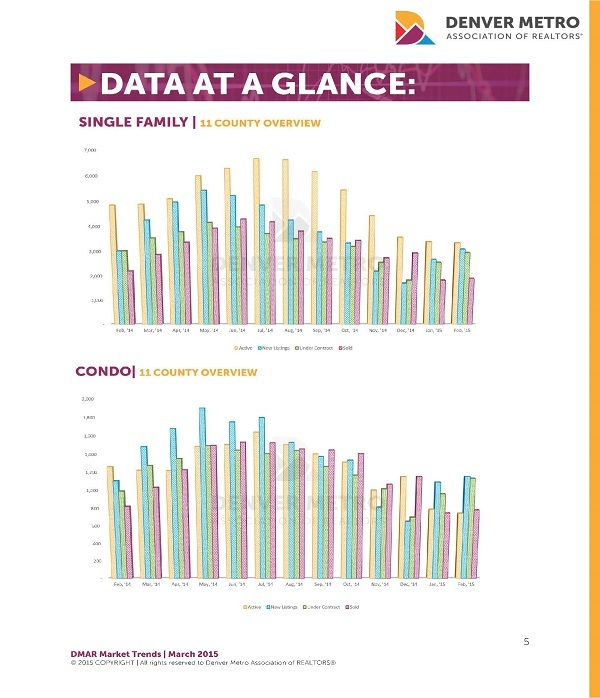 But the news is not all bad because February also ushered in a healthy dose of 4,240 new residential listings (single family and condos) which represented a 12.98% increase. Sold listings are up 4.02% and the median and average sales prices creeped up 3.96% and 5.44% respectively from the previous month. The frigid cold temps did not deter buyers from writing offers as evidenced by the 16.42% spike in properties that went under contract. 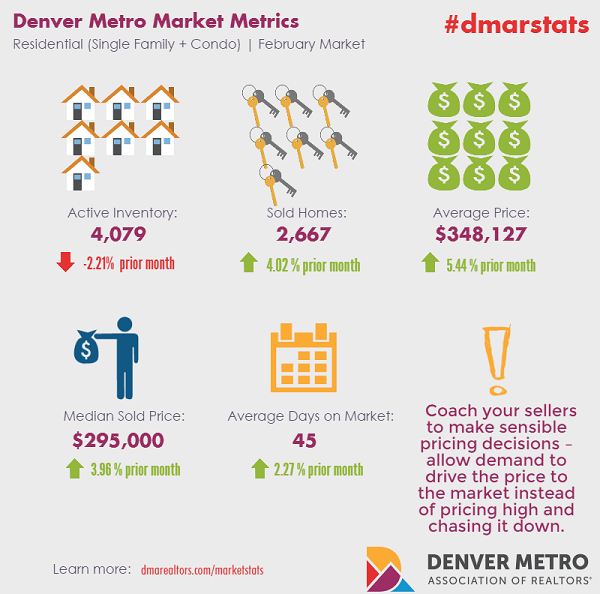 As we look at the single family home market, we saw a 15.97% spike in new listings while the average sold price increased 5.13% to $390,087 and the median price increased 2.81% to $329,000. Year-over-year (YoY), we've seen 19.30% and 17.50% increases in the average and median sales price. 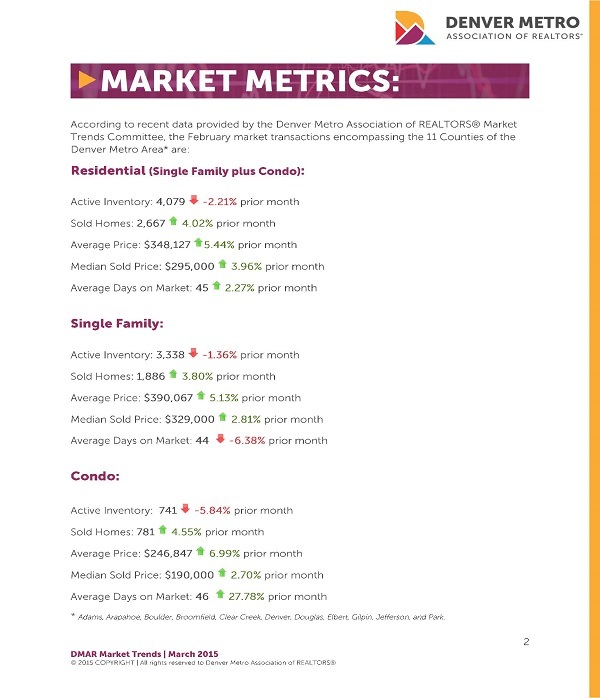 The condo market remains strong with 4.56% more sales than the previous month, while the average and median sales prices increased 6.99% to $246,847 and 2.70% to $190,000 respectively. Year-over-year (YoY) condo sales prices continue their upward trend with double-digit gains that pushed the average price up 14.87% and the median price up 11.83%. 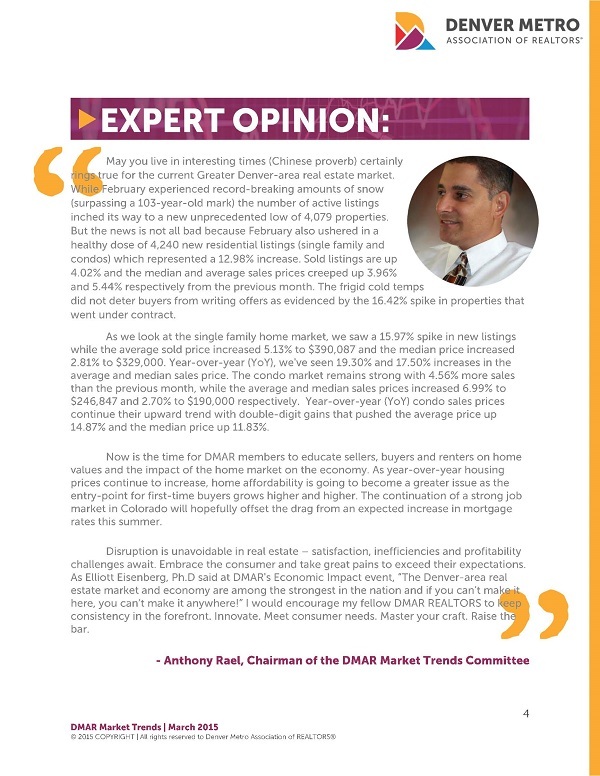 Now is the time for DMAR members to educate sellers, buyers and renters on home values and the impact of the home market on the economy. As year-over-year housing prices continue to increase, home affordability is going to become a greater issue as the entry-point for first-time buyers grows higher and higher. The continuation of a strong job market in Colorado will hopefully offset the drag from an expected increase in mortgage rates this summer.